We have an exciting announcement! 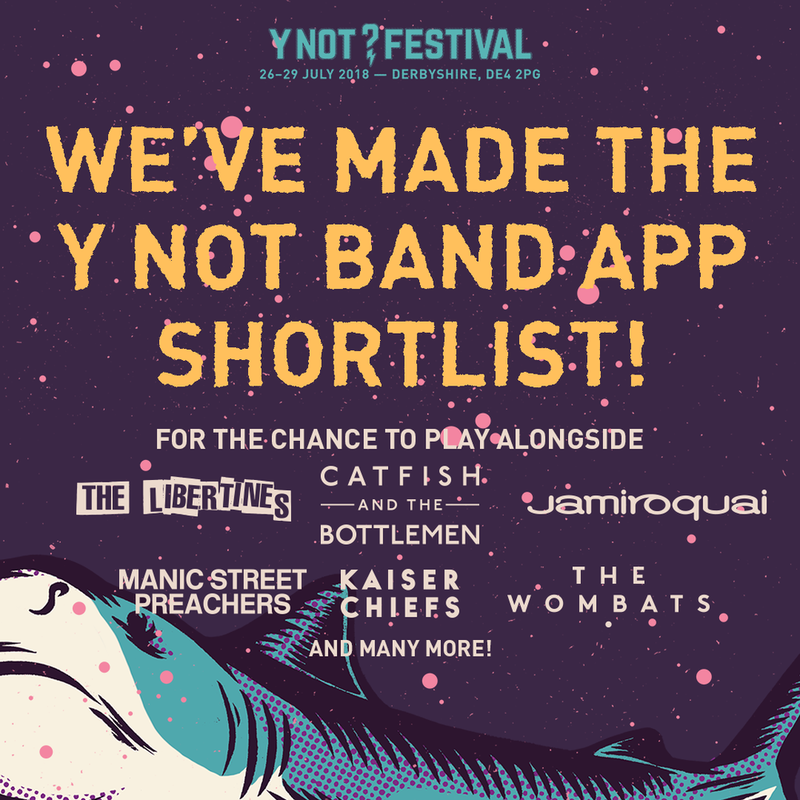 We’ve been shortlisted to play on the awesome Y NOT Festival, alongside huge acts including The Libertines, Catfish and the Bottlemen, Jamiroquai, and Kaiser Chiefs! Out of over 1,500 applications, we’ve made the shortlist with some other great acts. Bands will be hand-picked by the Y NOT Festival organisers, BBC Introducing, and some other very special guests. But most importantly… YOU! Please just take two seconds to vote for us, to increase our chances of being selected to play on this amazing festival. Thanks, and don’t forget to share!